(100 MILE HOUSE) Local organizations and government are teaming up to provide new skills for workers, new amenities for heritage and recreation sites and a boost to the Cariboo’s economy under the Jobs Creation Partnership (JCP) program. Five participants will be hired to work on four separate phases of the $400,000 project that will see upgrades to heritage/recreational sites and First Nations communities in the region. They’ll gain experience in log building and trail construction as well as learning other valuable skills during the 36-week project. “It’s great to partner with government to provide First Nations community members and others with valuable skills while improving the heritage tourism infrastructure of the Gold Rush/Spirit Trails corridor,” said Terry Raymond, Co-chair of the New Pathways to Gold Society (NPTGS), one of the project partners. The Canim Lake First Nation (Tsq’escenemc), Gold Rush Snowmobile Trail Regional Management Committee, Highway 24 Ice Caves Project, Government of Canada, Province of British Columbia and the Recreation Sites and Trails Branch of the Ministry of Forests, Lands, and Natural Resource Operation are also project partners. The JCP program is administered by the Ministry of Social Development and Social Innovation. Cariboo-Chilcotin MLA Donna Barnett said the initiative will create both work and much-needed improvements to the region’s heritage tourism and recreation infrastructure. “The jobs created to this project and the ongoing tourism opportunities for growth are a great benefit to the South Cariboo,” added Barnett. The project has four components. Participants will start by improving the Gold Rush Snowmobile Trail before shifting gears to building picnic tables, information kiosks and outhouses for the region’s recreational sites. They will move on to trail building and log cabin construction as well as other work in the traditional territory of the Canim Lake First Nation. The final phase will see the crew and their supervisor working on the Ice Caves Project to create a unique fitness/recreation/heritage site at Bridge Lake. 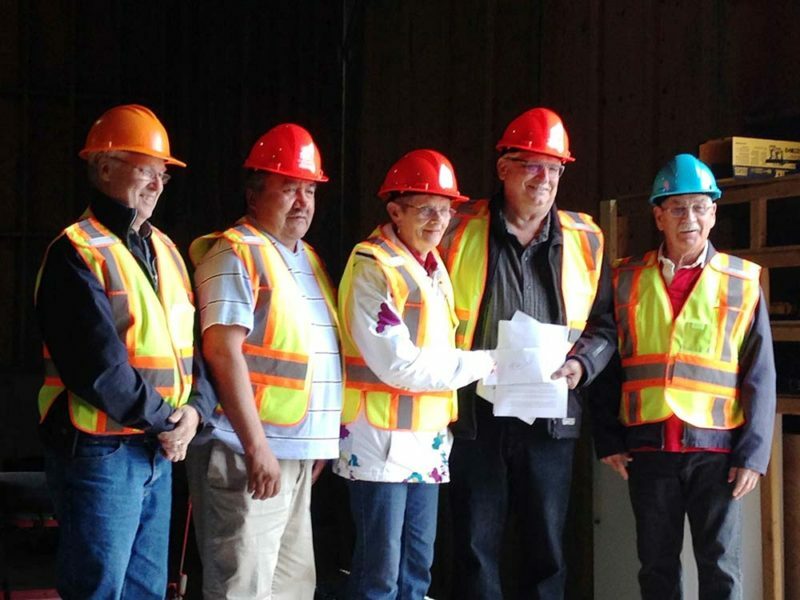 “This project gets the participants on the land and provides real learning and employment opportunities for some First Nation community members,” said Cheryl Chapman, NPTGS First Nations Co-chair. Since being founded in 2007, NPTGS has raised and/or leveraged over $4 million for projects and contributed over $3.5 million to local communities. Working with its partners, the Society has also built or restored over 230 kilometers of heritage trails, launched and/or completed 17 major projects and staged 150 events, performances, symposia and lectures.